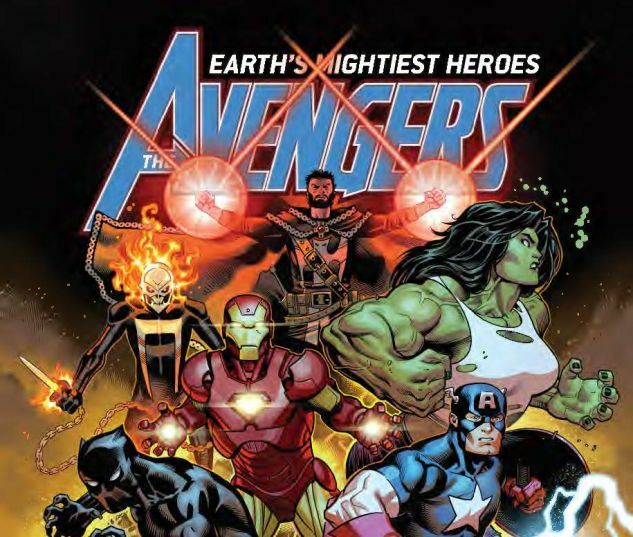 A new era for Earth’s Mightiest Heroes! Steve Rogers. Tony Stark. Thor Odinson. The big three are reunited at last — and just in time to save the world from the 2,000-foot-tall space gods known as the Celestials! Behold the coming of the Final Host! 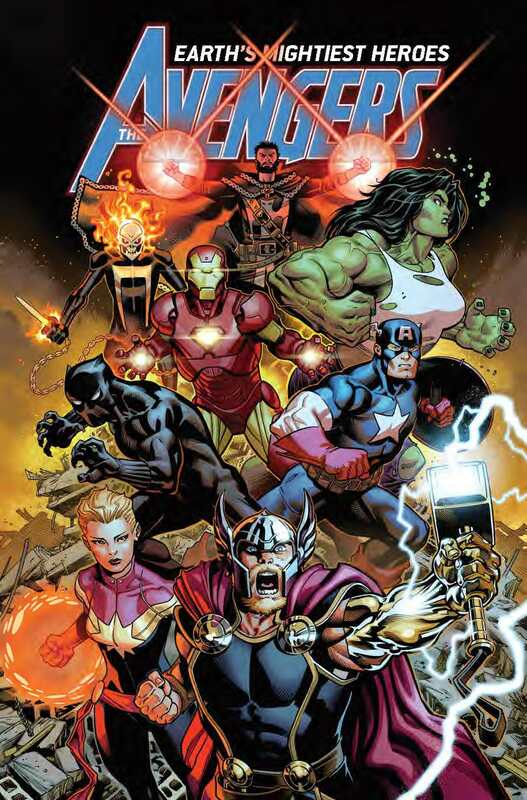 But who will answer the call as a new team of Avengers assembles? As Black Panther and Doctor Strange battle for their lives deep within the earth, Captain Marvel faces death and destruction raining down from the skies. And what about the Savage She-Hulk and the all-new Ghost Rider? Plus: No gathering of Avengers would be complete without a certain Prince of Lies! But what world-shaking connection exists between the Dark Celestials and Odin’s ancient band of Prehistoric Avengers? 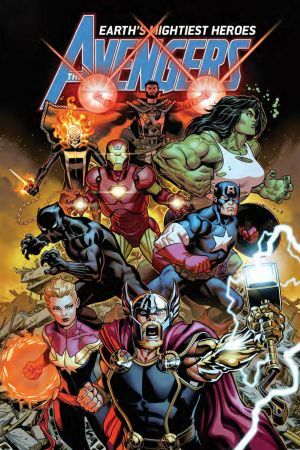 Collecting AVENGERS (2018) #1-6 and material from FREE COMIC BOOK DAY 2018 (AVENGERS/CAPTAIN AMERICA).